Recognised by his peers Australia-wide as one of the hardest working Hip Hop producers, Simplex’s (Terra Firma) guest appearances and production work reads like a who’s who of the Australian Hip Hop landscape including the Funkoars, Hilltop Hoods (of which he is a fellow member of the Certified Wise Crew), Drapht, Pegz, Brad Strut and Reason. International artists including C Rayz Walz (NY) have also requested his unique production sound. 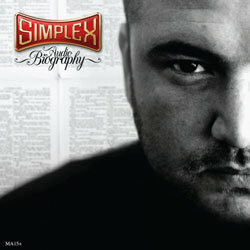 In 2011 Simplex released his debut solo album on Obese Records titled 'Audio Biography' backed by a national tour. The album had been a long time in the making but Simplex shone as an emcee, vocalist & producer with supporting guests appearances by his crew Terra Firma, Delta (Nuff Said Records), Candice Monique (from M-Phazes’ “Goodbye Gravity”) and Ranto Bokgo (South Africa). A collaboration between Australia's Simplex & South Africa's Ranto Bokgo recognising that although they are from different countries and cultures, they share many similarities in how they go about their daily lives & that we are as a human race, connected as one.